For us, nothing can be sweeter than hearing the praises of our own clients, who have become our own brand ambassadors. Their words are our own reward for all our efforts to deliver only the best residences that would meet our clients' demanding standards and discriminating taste. Our attention to every painstaking detail, from the choice of location to our amenities and service, is made with our clients' convenience and comfort in mind. They are our reason for being, and we will always endeavor to please them to the best of our abilities. 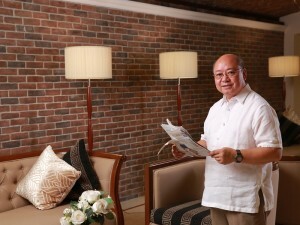 Property Investor Kevin Acton immediately fell in love with Admiral Baysuites at first sight. As he was walking around the neighborhood one day, the building’s classic European architectural design caught his attention. He decided to take a close look inside and was amazed at what he saw. “I have been thinking of retiring years ago, and it is only last year that I got to finally do it. This is where I want to retire. The Philippines will always be my home,” said Albert Sumpongco, a retiree from Dallas, Texas. Albert worked as a car dealer in Dallas where he lived and built a family for 38 years. With his children now all grown up, he and his wife decided to go back to the country in 2015. Today, they are both enjoying a more relaxed pace. “Senior citizens like me will find the amenities very useful, especially the swimming pool and the gym where we can safely exercise. I also like that there is a theater, a music room and KTV room that we can use so my wife and I don’t have to go out”, Albert said. ” I have invited guests over who tried the pool, and they were impressed.” . Young families will find Admiral Baysuites ideal especially for kids. Jecel Brunsden appreciates the fact that her two daughters enjoy staying home rather than going to malls. “My kids love the playroom and the swimming pool. This is important for me because it helps me find ways to address their boredom. With amenities like these, we don’t have to go out everytime. I can just sit down and watch while they play or swim,” Jecel affirmed. 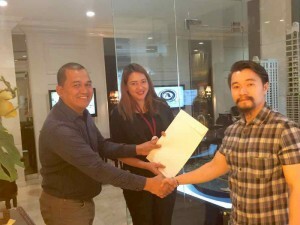 It was Jecel’s husband who decided to get the unit right away after comparing it with other property developments that they previously visited. Her husband’s work as executive chef requires him to go in and out of the country, so Jecel gets to spend more time with her relatives. “Whenever my relatives come over to visit, they would always go to the billiards room. 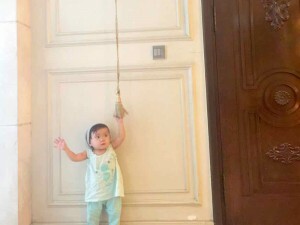 It’s their favorite room in the building,” Jecel said. What attracted me was the location of Admiral Baysuites, the high end luxury aspect of it and the fact that it is a great investment. In my opinion, it’s the best real estate investment in the Philippines today. After all, the prime location at Roxas Blvd. is “the Champ Elyssees of Philippines” and it will never go out of style. With all the luxury and services including the sunset over Manila Bay, the view over the skyline in the evening, I’m really looking forward to just enjoy what life has to offer. One of the investor benefits is also to be able to rent the unit out via the hotel, when I’m not personally in Manila. There are many other great benefits too, but these are the ones that came into my mind right now. I just love your country, and I’m really looking forward to spend more time there in the future. We find Admiral Baysuites more rewarding for us than buying other condominiums from other developers because Admiral Baysuites has a distinctive design, and fully-equipped at a reasonable price. Admiral Baysuites is situated at the famous Sunset Boulevard, and for that reason, living at Admiral Baysuites will bring more pleasure to us. It is certain that it will become a new and perfect landmark in Manila Bay. A known place that will uphold the history, tradition and culture with continuous innovation and development. On the West Wing of Admiral Baysuites, there are only less than 100 tenants and we have our own separate elevators which means there’s no need to wait for long lines. We also have separate facilities such as a private infinity pool, the spa, mini theater, fitness center and more. The amenities are limited to only a few tenants which makes it very convenient.